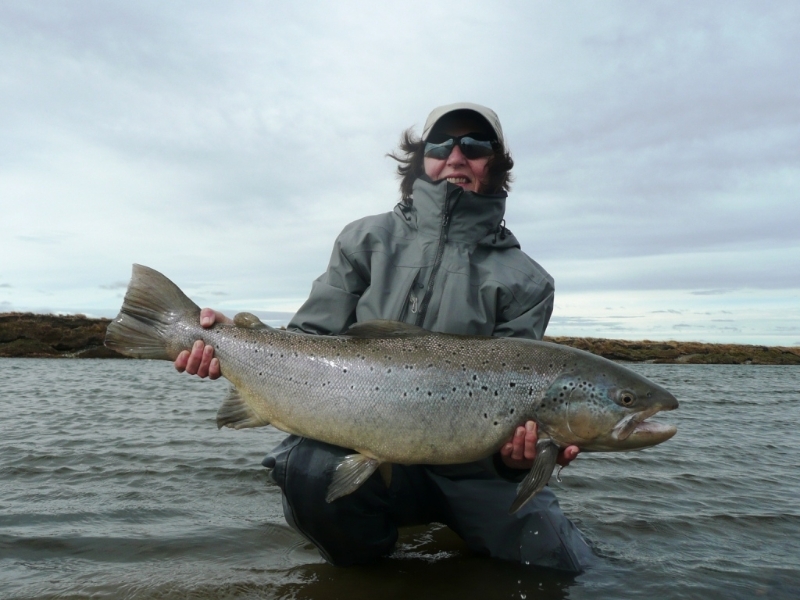 Kau Tapen has more history than any other lodge in Tierra del Fuego and for sea run browns there is no better place on the planet. 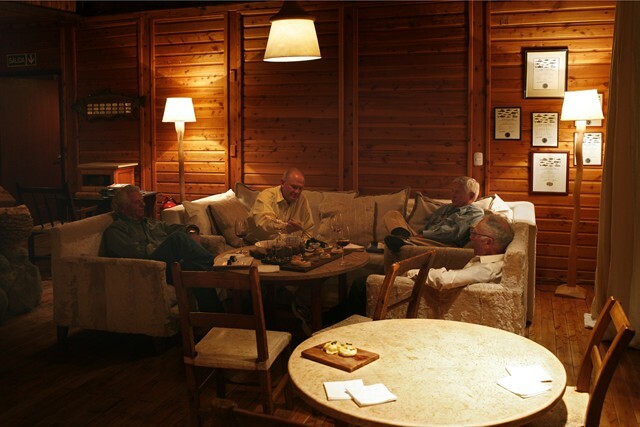 No where else will you find this unique blend of luxury, tradition and fishing quality. 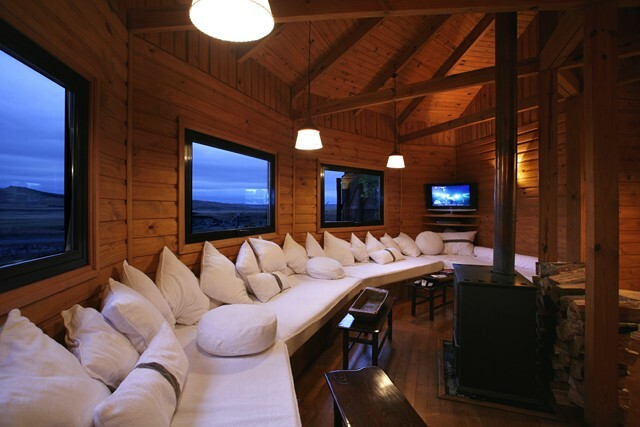 The lodge sits on a prime section of water overlooking the Rio Grande and Menendez valleys. 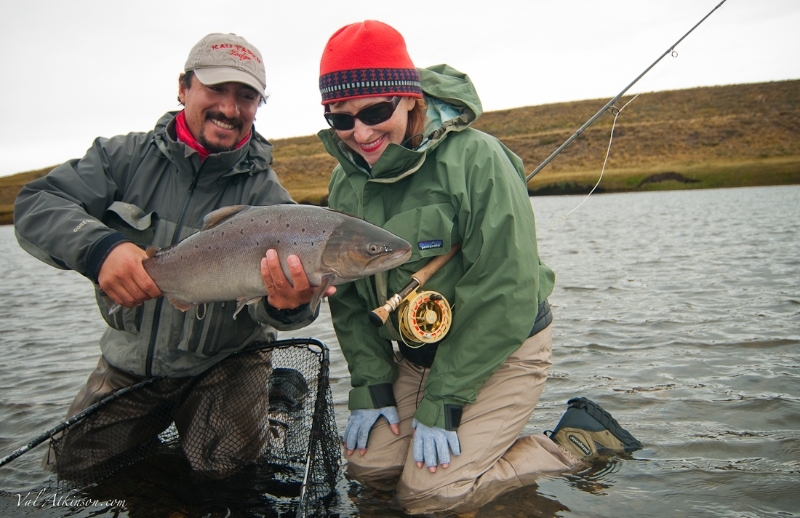 Twenty years of catering to fly fishing enthusiasts gives the lodge its distinguished heritage and the reputation as the premier destination in Tierra del Fuego. 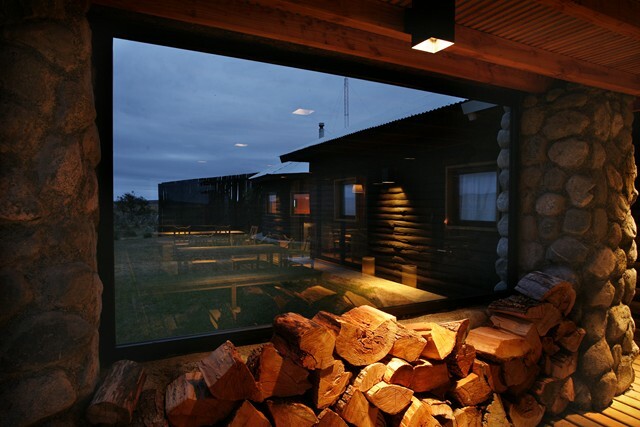 It is a long trip from the States to southern Argentina. Most of the flights from the US to Buenos Aires are overnight flights arriving in the morning. Most people choose to overnight at least one day in Buenos Aires just to help with the jet lag and enjoy this beautiful and fun city. 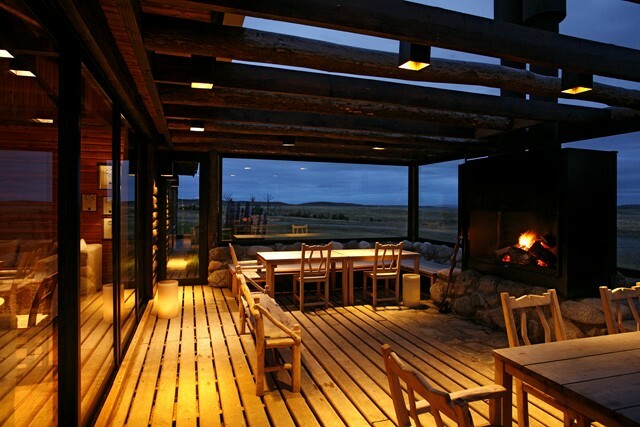 You will then need to take a commercial flight to Rio Grande Airport. 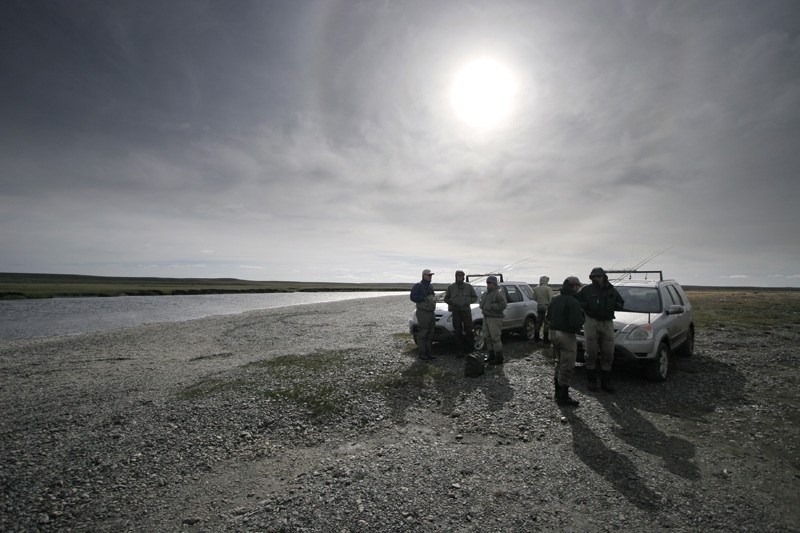 Once you arrive in Rio Grande you will be met by our driver in a four wheel drive vehicle for your 1 and a half hour drive to the lodge. You will have a chance to explore the grounds, organize your gear and get ready for the next day of fishing. Following lunch and a siesta,(the hours of which will depend on the season) Guests return to the river between 5 and 6 o’clock and fish through till dusk. 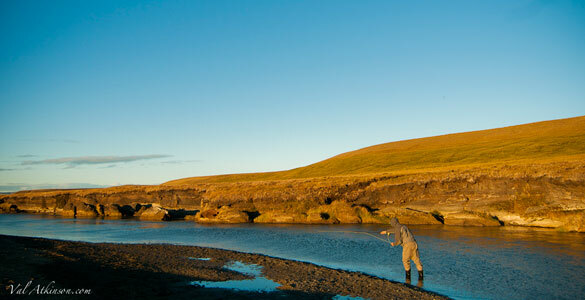 Fishing hours will change slightly depending on the time of year, this far south there is plenty of daylight!!. Katapen has a team of experienced, professional international guides. 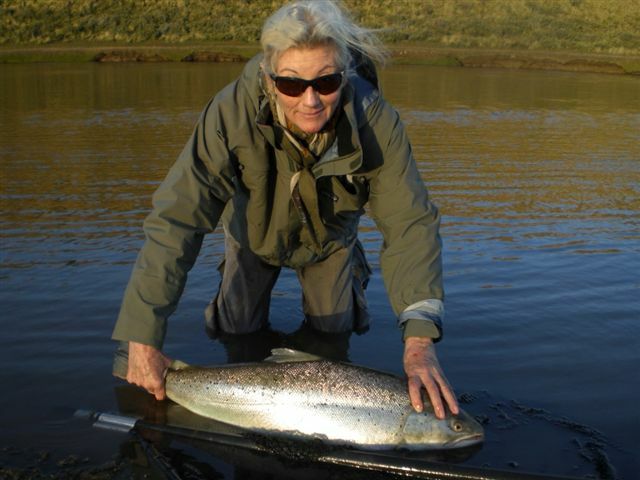 They are all English speakers, and will be able to offer tips on how to best fish each pool, fly choice and presentation. 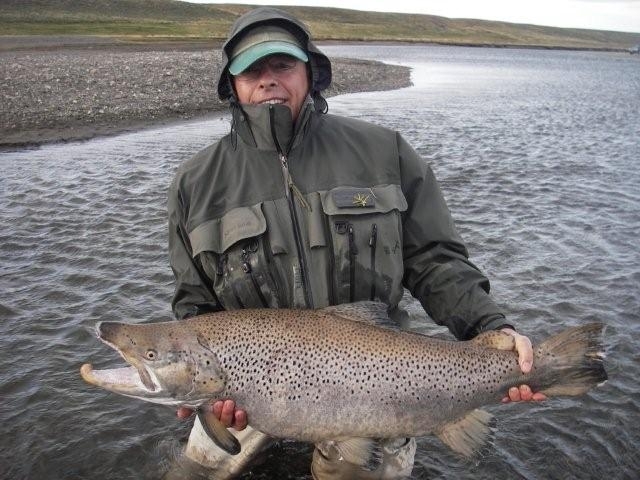 Please read further if you are interested in 5-25 pound brown trout on a fly rod. 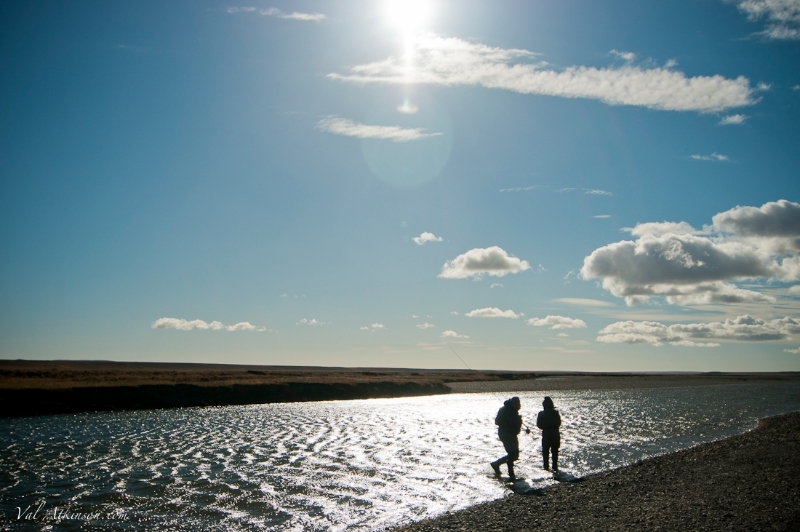 There is no other place like Tierra del Fuego and the Rio Grande river. 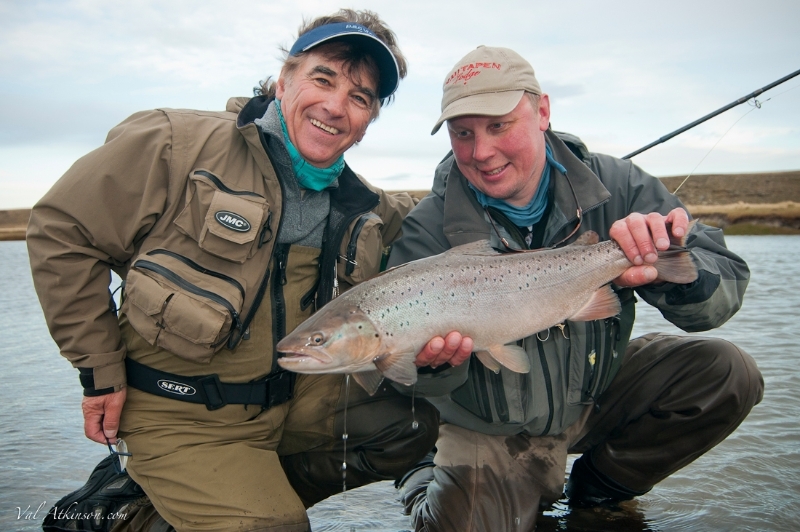 Join our list of satisfied guests for the finest fly fishing for sea run browns the world has known! 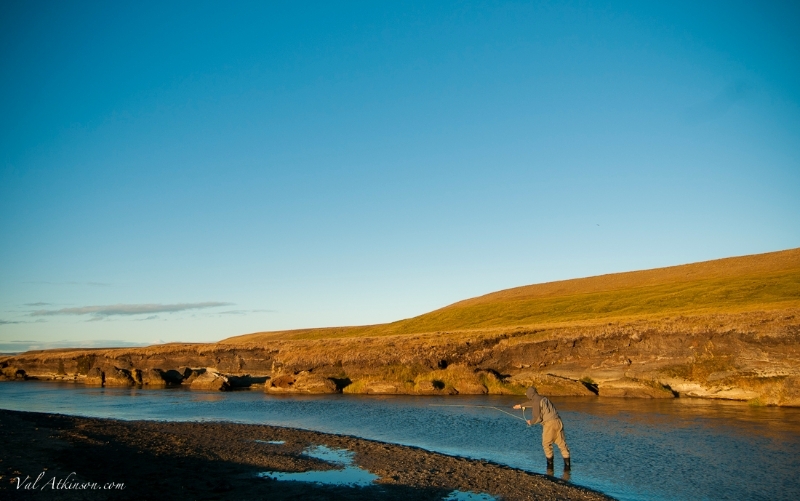 Fly Fishing Heaven! 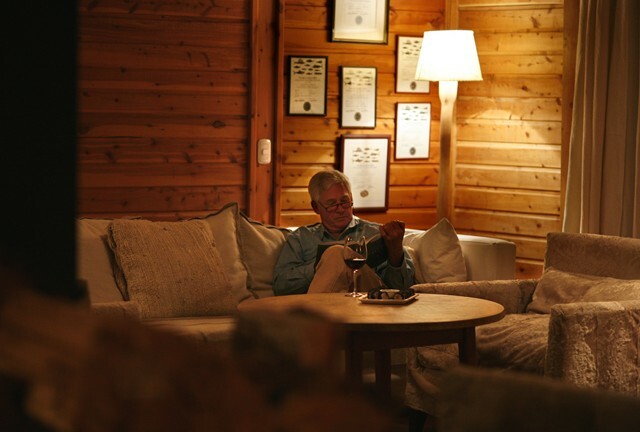 First opened in 1985, Kau Tapen has been improved each and every year by the de las Carreras family, who enjoy a loyal and almost fanatical clientele. 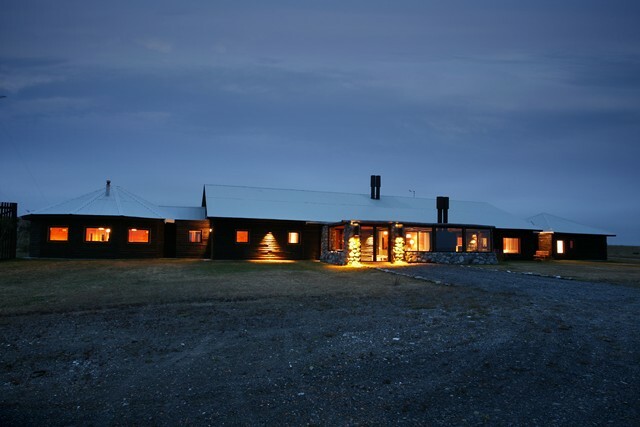 At the forefront on the list of the world’s best fishing lodges, Kau Tapen boasts nine spacious guest rooms in addition to convivial living and bar areas, and here guests will find elegant refuge from the conditions out of doors. 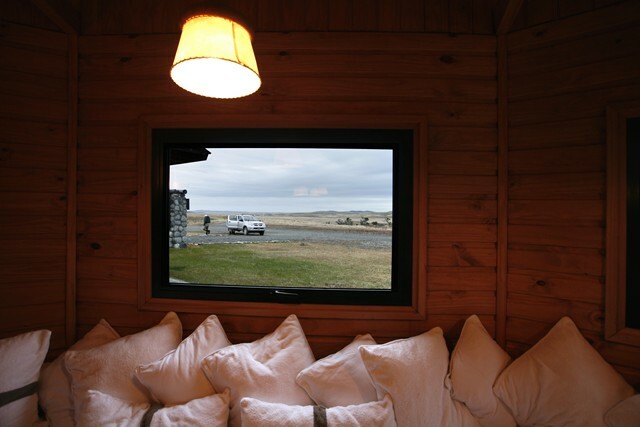 This award-winning lodge offers amenities such as massage, sauna and a steam room, and drying rooms for wet gear. An acclaimed chef and house staff are experienced and anxious to serve. 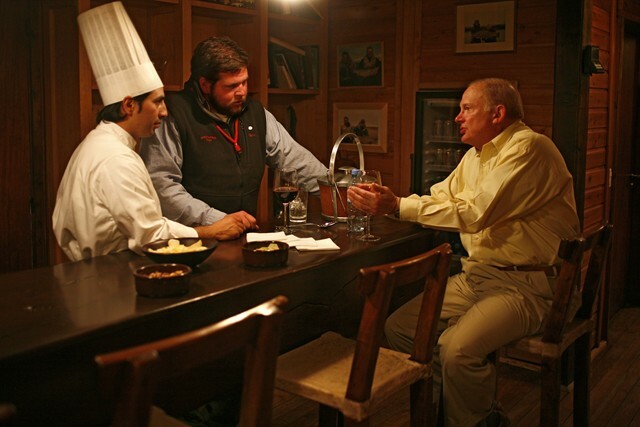 Fine Argentine wines are chosen as a complement to each meal, and menus will delight even the most discriminating palate. 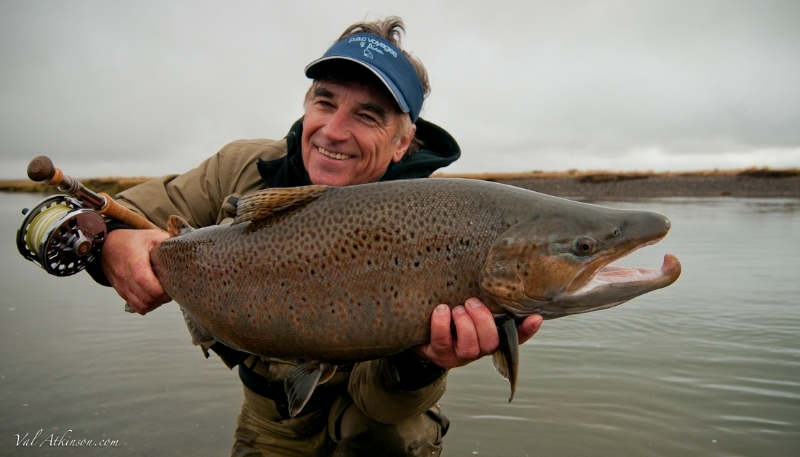 The first brown trout were stocked in Tierra del Fuego by John Goodall in 1935. Shipped from Puerto Montt in Chile, 60,000 ‘salmo trutta’ eggs survived the arduous journey, to be planted on the Candelaria and McLennan rivers, both tributaries of the Rio Grande. These fish eventually found their way to the sea, probably sensing the nutrient filled estuary. Some how they adapted to ocean life and began reproducing like and Atlantic Salmon . These sea-run brown trout now complete the yearly migratory cycle of their Atlantic Salmon Cousins, spawning during the summer months in freshwater and returning to the ocean to get big and fat! 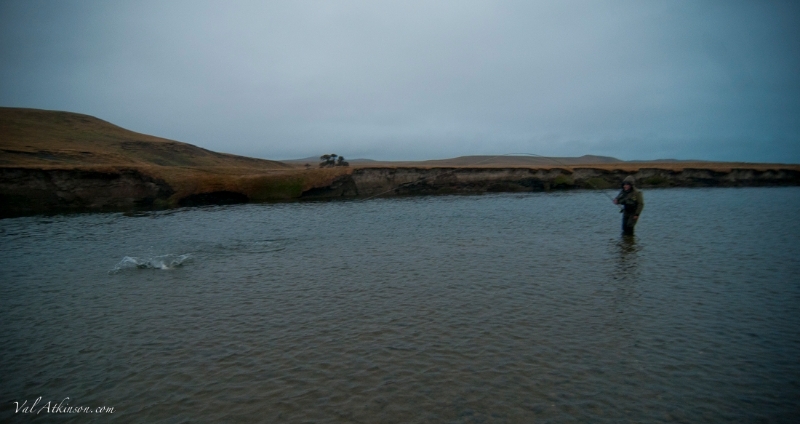 The baby browns remain in the river 1 to 4 years until they are big enough for their first journey to the ocean, where they will feed and grow for about 6 months before their first return to freshwater, weighing approximately 6lbs. 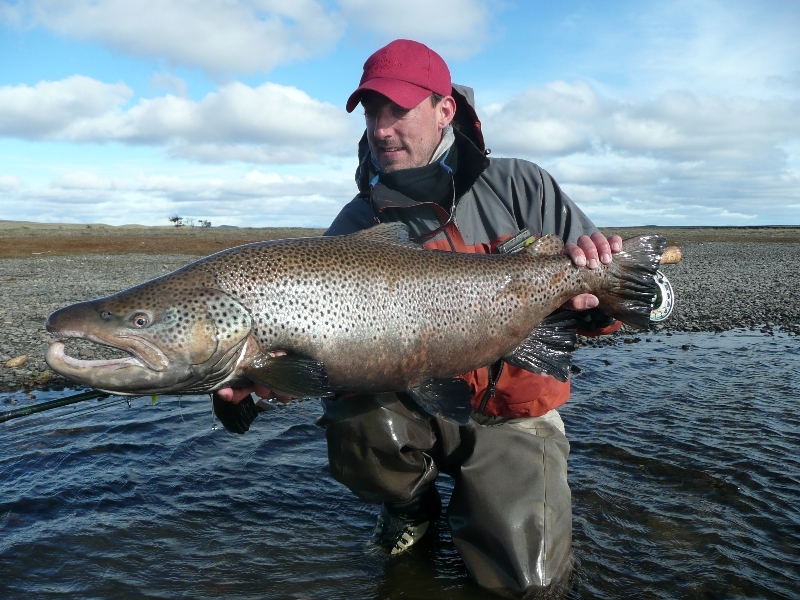 Researchers have found trout which had spawned more than 6 times. 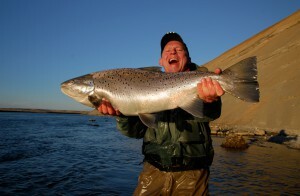 A trout which has completed 4 cycles of returning to freshwater can weigh over 20 lbs. The frequency with which they return to freshwater is also an indicator that the fish face very few threats. It also shows that our policy of Catch and release is working. The average returns have been going up and up since this policy was adopted. We are now averaging 2-3 fish per rod per day which is way up from the low of 1 fish per rod per day just a decade ago. 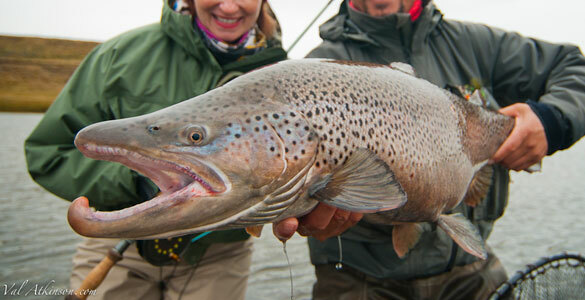 There are not many places in the world you can visit that has so many big brown trout. Fishing days are long, especially early in the season, and the climate can be difficult. 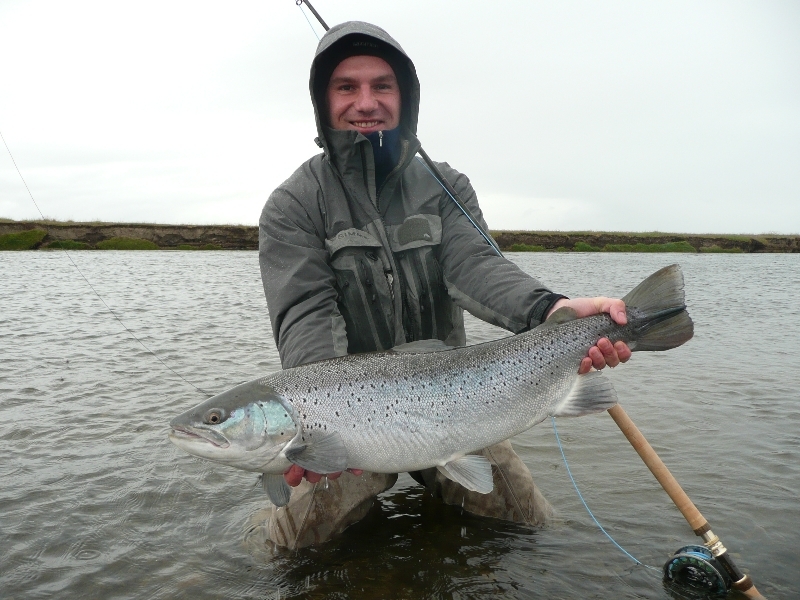 Concentrate your fishing during periods when trout are taking, and don’t hesitate to rest at midday. If you find that you tire as the week progresses, talk with your guide about departing for the river a bit later; they will be happy to accommodate you. 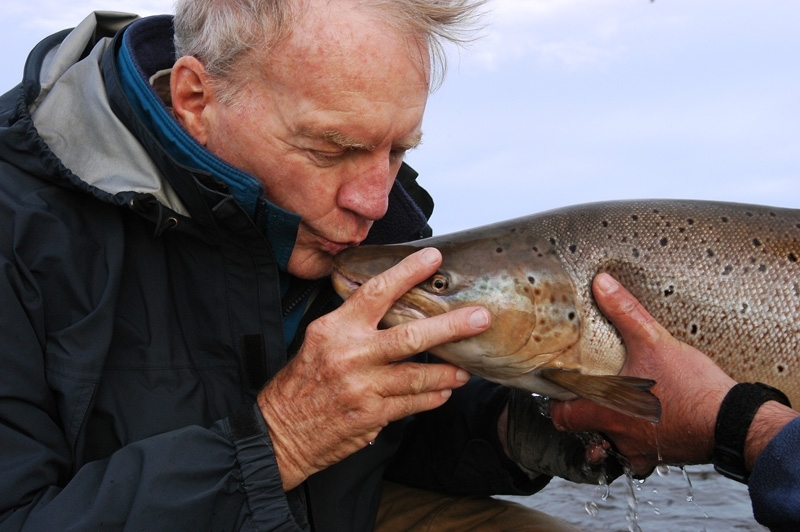 Although most of their lives are spent in the ocean, the sea run brown seem to retain more of the eccentricities of resident browns than, for instance, steelhead do of resident rainbows. Moody fish, they must be shown flies the way they want to see them at the precise time, that they’re ready to take. The Rio Grande isn’t a big river. 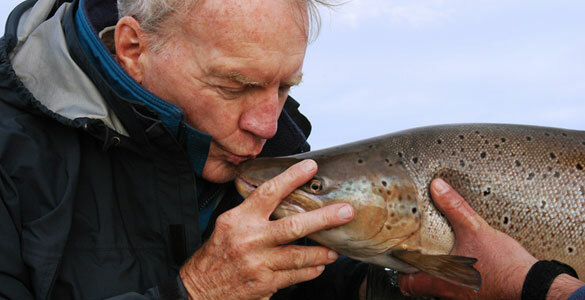 Thus, it’s compatible with a wide range of techniques, critical since a large sea trout may demand that a fly be fed to it on the bottom one hour but rise to a floating bomber the next. Water levels can change from week to week and the water generally drops as the season progresses. Vary your presentation markedly in each pool fished until you find the right formula of fly, line, drift or swing, and retrieve. Pay close attention to the advice of your guide, whose primary aim is to recommend the methods that will help you hook and bring your fish to the net. 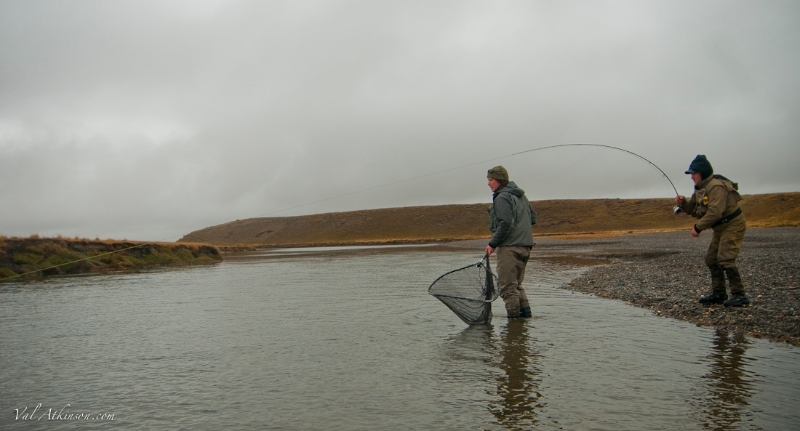 As a rule, the more time your fly spends in the water, the more sea trout you’ll catch. 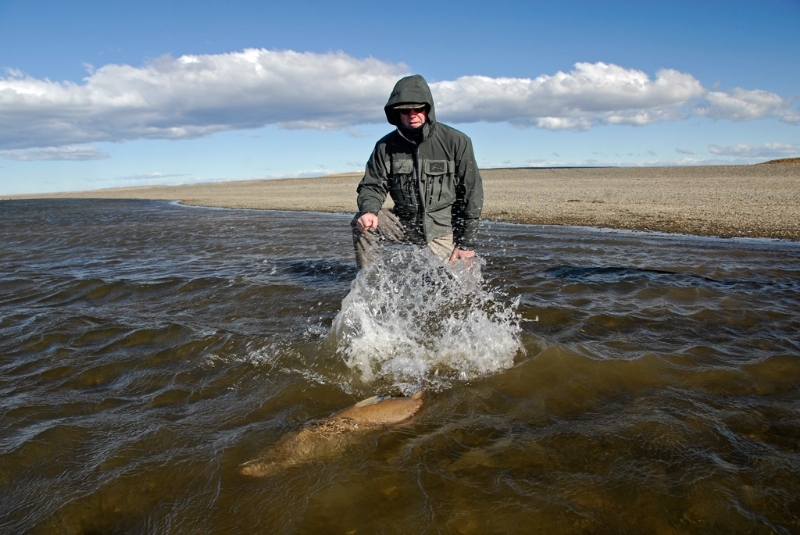 You’ll want to minimize false casting in order to cover as much water as possible during each outing. One retrieve technique commonly employed is short strips, but since pools and fly types vary it’s best to consult your guide on how best to fish each new situation and which retrieve to employ. Point your rod tip to where your fly line enters the water, following the line around as it swings your fly while you retrieve it. 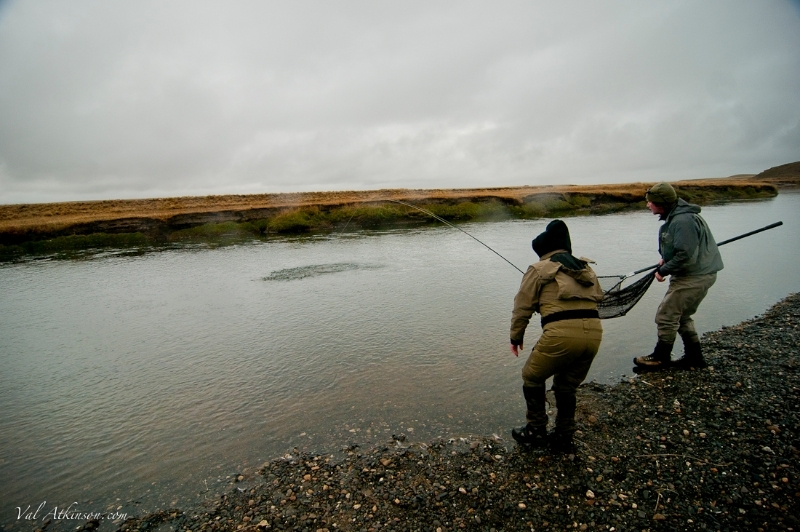 Depending on the swiftness of the current you may want to mend your line upstream, occasionally even downstream, in order to present your fly most advantageously to the trout.Check leaders regularly for wind knots, which halve the breaking strength of monofilament. 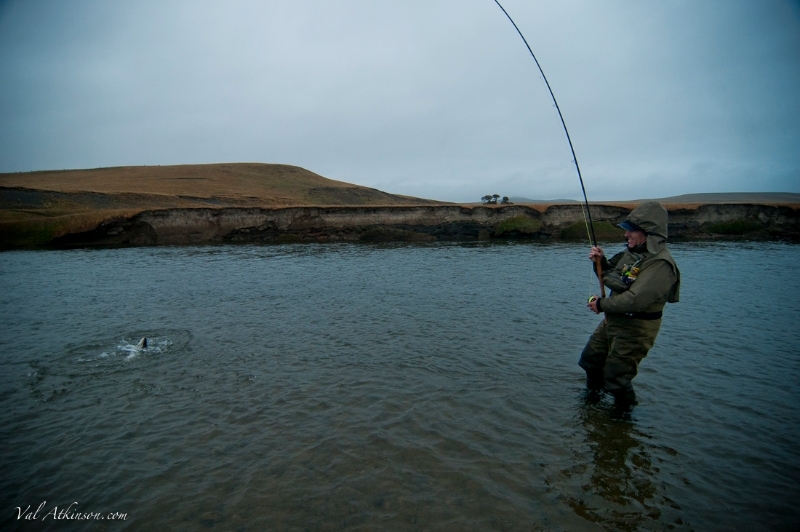 If you have a fish roll at the fly, follow or “bump” it in any way; there is a good chance that the trout will come back to the same or a different fly. 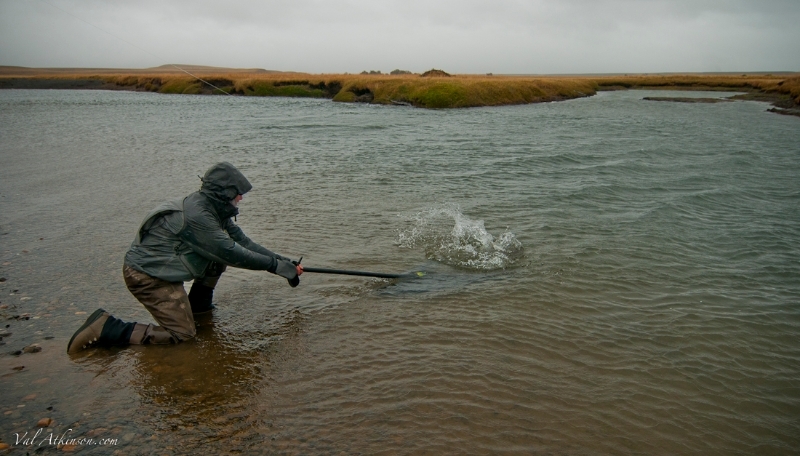 Wait a moment for the fish to return to its lie, don’t move, and cast again to the same location. Try to repeat the same length cast and fly speed. Then, change speed and fly on the next several casts. 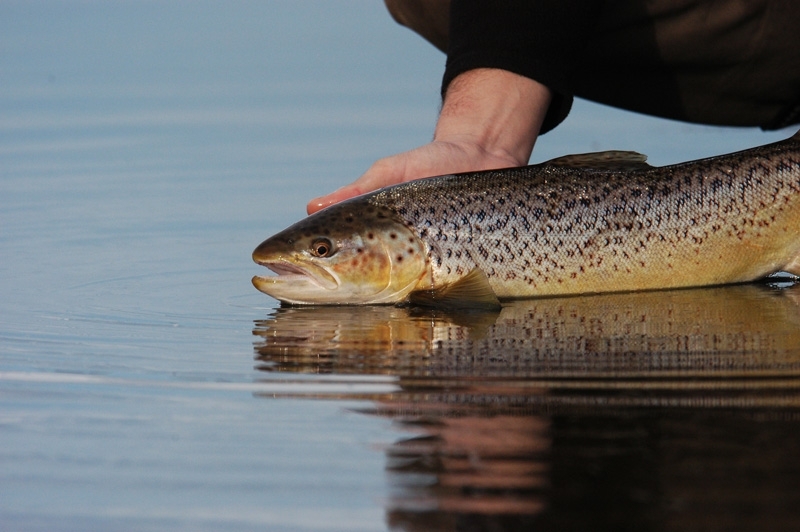 If the trout does not show himself again after a few changes, mark his location and return to try him again after resting that portion of the pool. 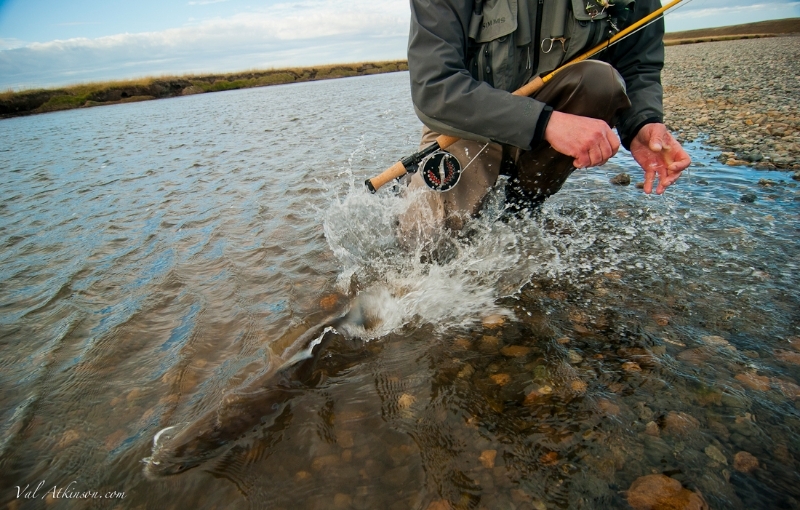 In setting a hook it’s best simply to tighten and let the fish hook itself. Never jerk the line to set a hook. 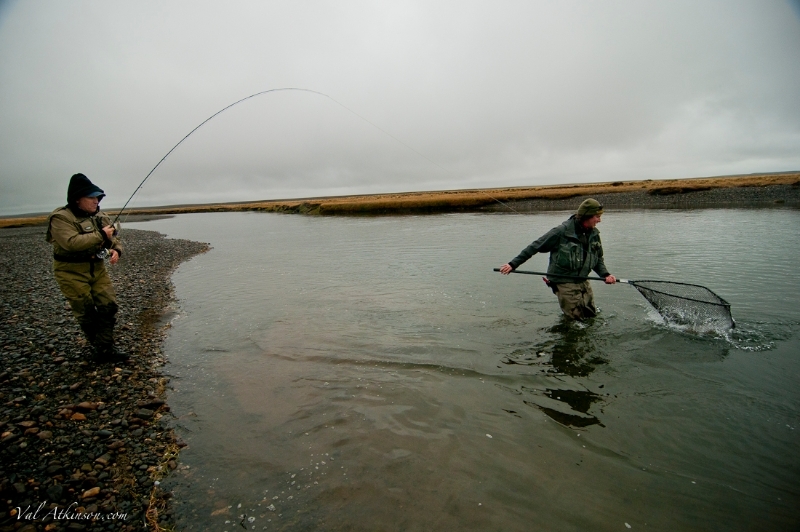 Having hooked a large fish, don’t plant your feet and attempt to drag it upstream against the current. 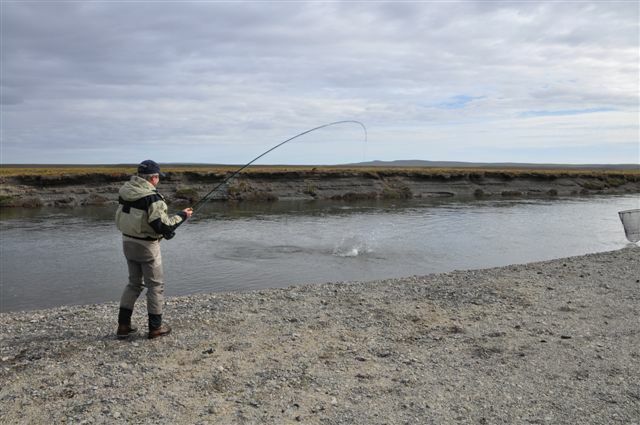 Once you have the trout under control, head for shore and move with your fish, staying either abreast or slightly downstream of it. Also remember to “bow” to jumping sea trout by lowering your rod tip as the fish leaves the water. Play sea trout aggressively, much as you should Atlantic salmon or steelhead. 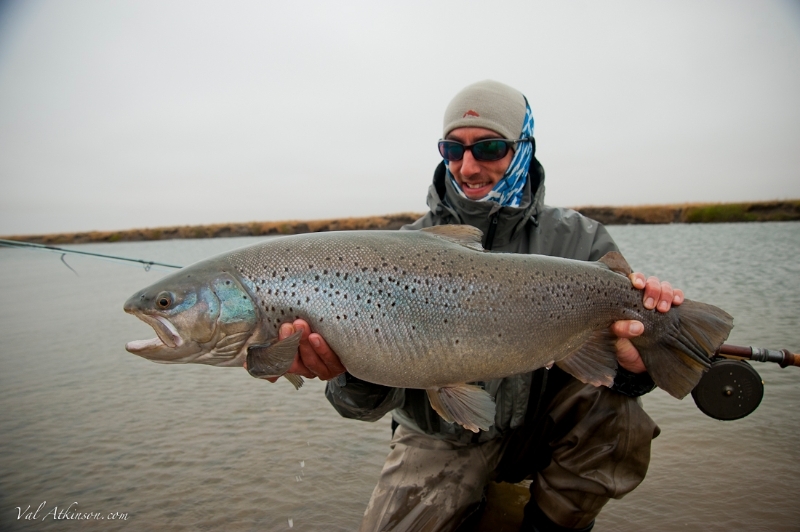 Many anglers play large fish too gingerly, which causes more losses than playing the fish hard. 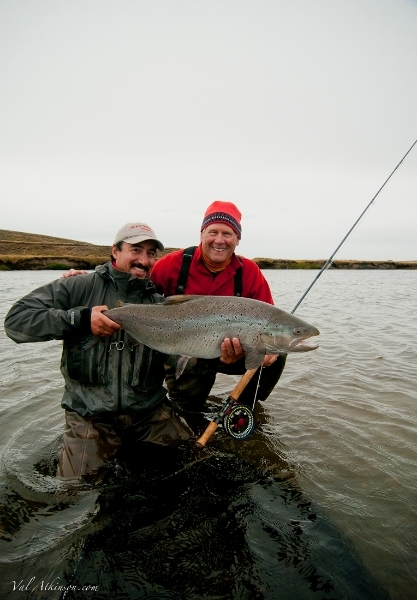 If you hook a fish in low light, communicate with your guide immediately. 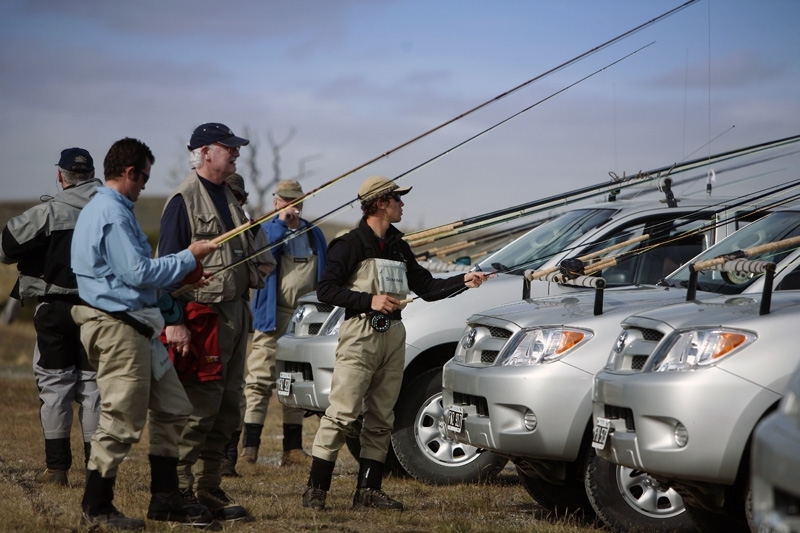 Listen carefully to his instructions, particularly with regards to the most reliable spot to net your fish. Handle all fish with care and release them unharmed. 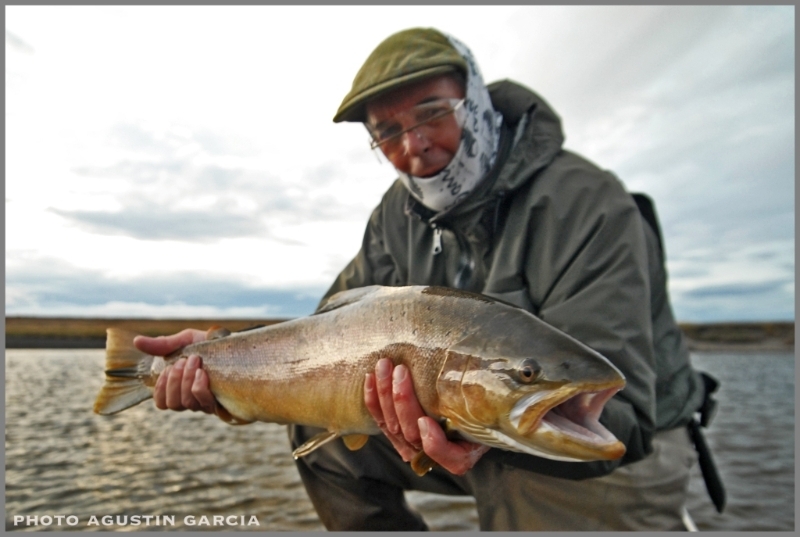 (All fishing on the Rio Grande is catch and release.) Try not to let your trophies thrash on the bank. For pictures, cradle the fish in wet hands, gripping the the tail firmly. increase in numbers of returning fish. 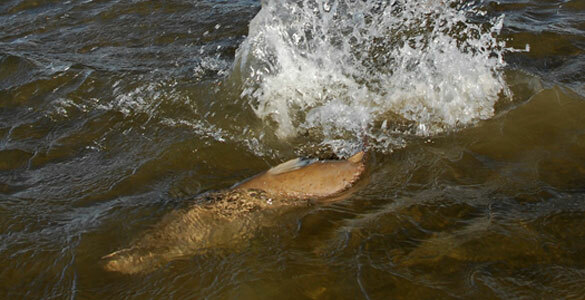 The mortality rate of released fish is almost non existent, and these fish do not die after spawning. 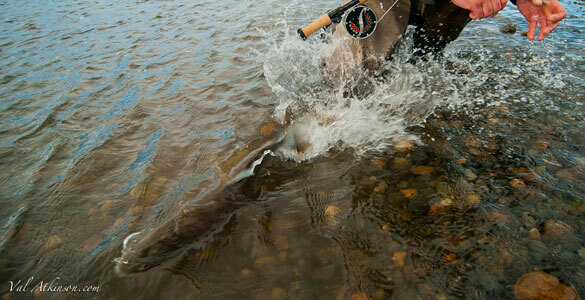 Catch and release hugely increases the chances of that fish returning to the river. We ask that all fishermen de-barb all flies. Not only do barbless hooks penetrate more readily, allowing for more successful hook-ups, but they are also more easily removed, should a cast go errant. 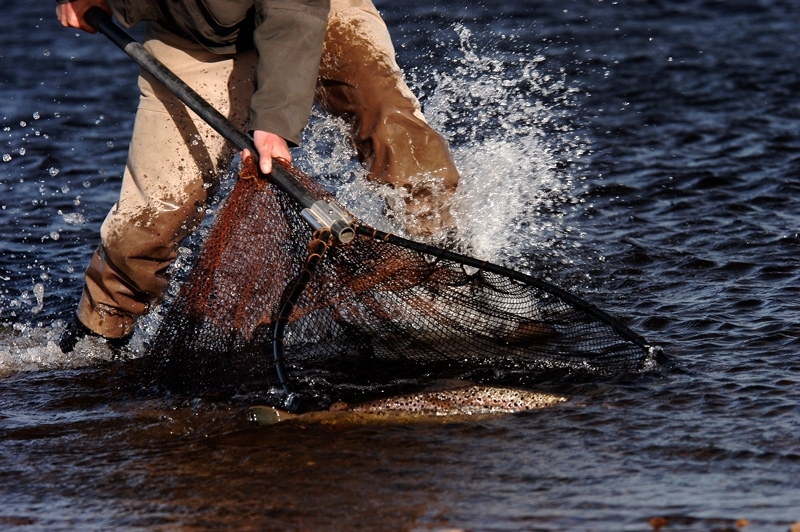 Guides are equipped with large nets featuring in-built scales. 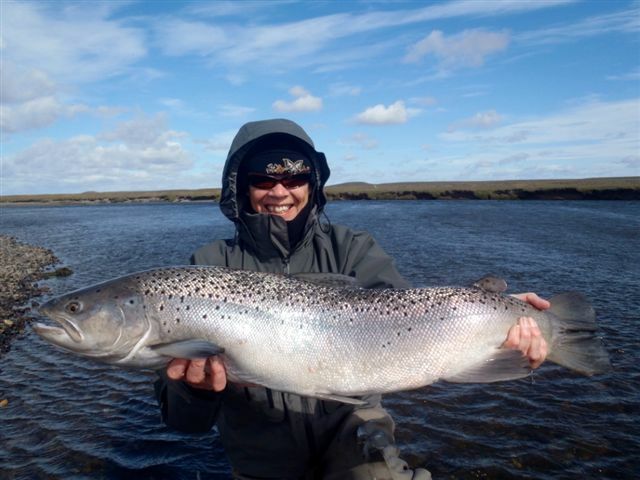 They are trained to land your fish, weigh it and measure it, and release it undamaged. 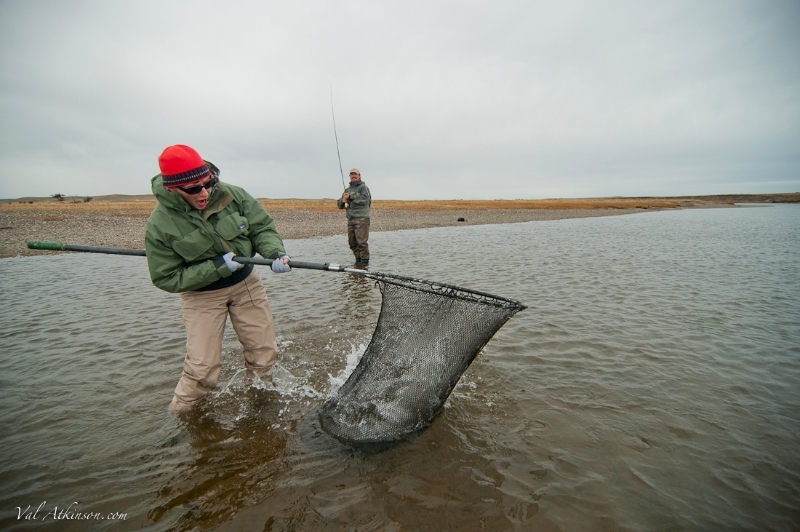 If you are landing your own fish, hold it facing the current, and avoid moving it back and forth in the water. You may have to hold it in this position for a good while. Be patient, only when a fish is thoroughly rested should it be allowed to swim away. For Sinking lines: 3 ft leaders ending with 10-20 pound tippet. 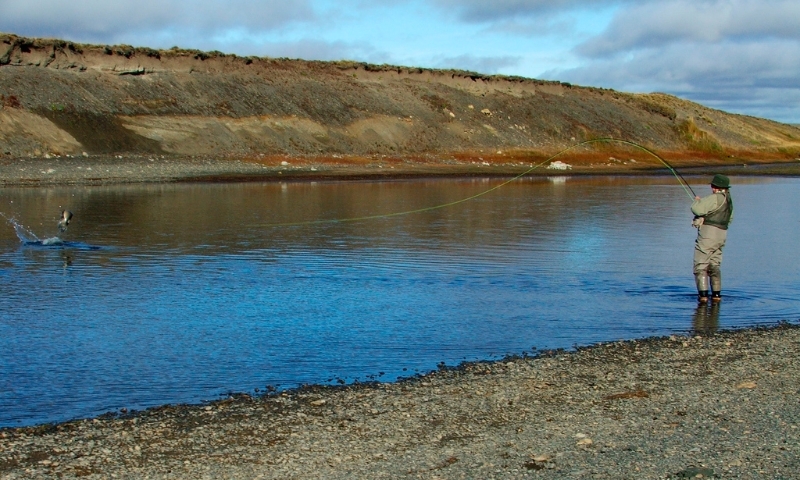 For Sinking lines: 3 ft leaders ending with 8-12 pound tippet. 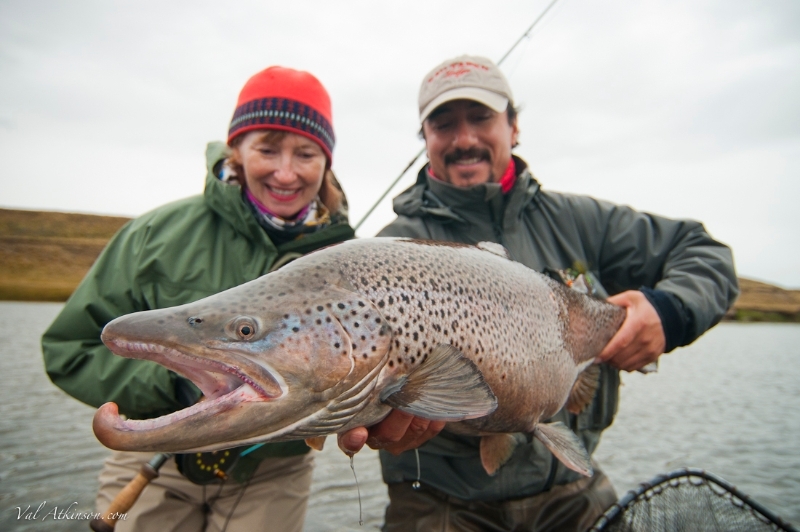 Also, take any large, dark trout or salmon fly in which you have confidence. 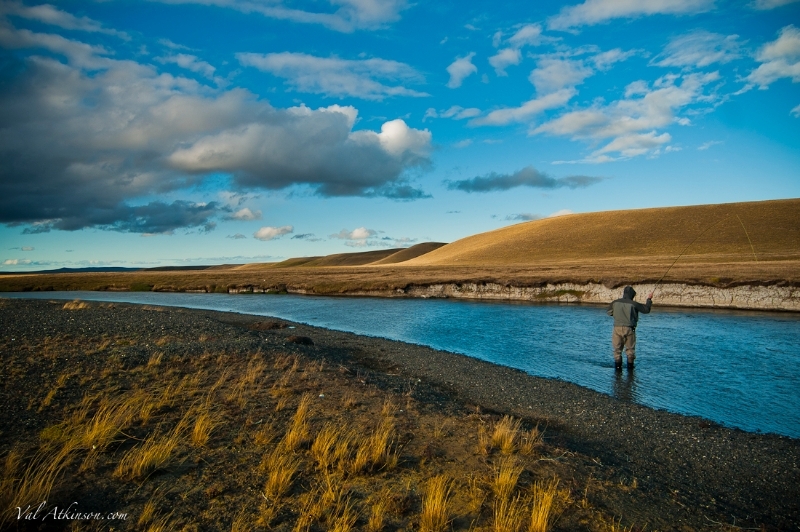 Fishing a fly that has worked for you in the past, and in which you have confidence, is half the battle. 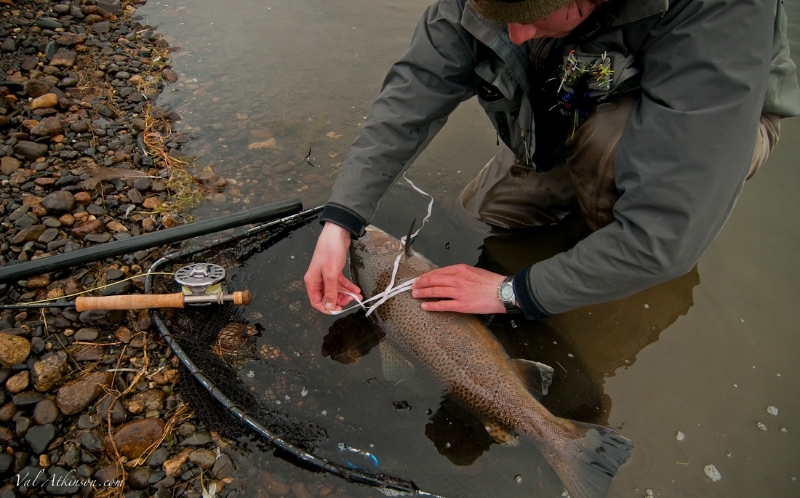 Note: Larger streamers should be weighted and all should be tied on heavy hooks with good gaps. 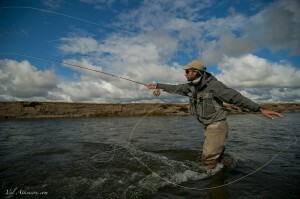 Treble & Double hooks are not allowed on the Rio Grande. 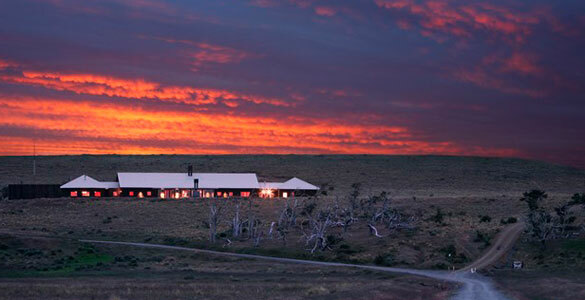 Prices Include: round trip ground transportation to the lodge, lodging, three meals a day, guided fishing each day. It includes soft drinks, beer and local spirits while at the lodge. It also includes all taxes. Prices quoted are per person and in US dollars. 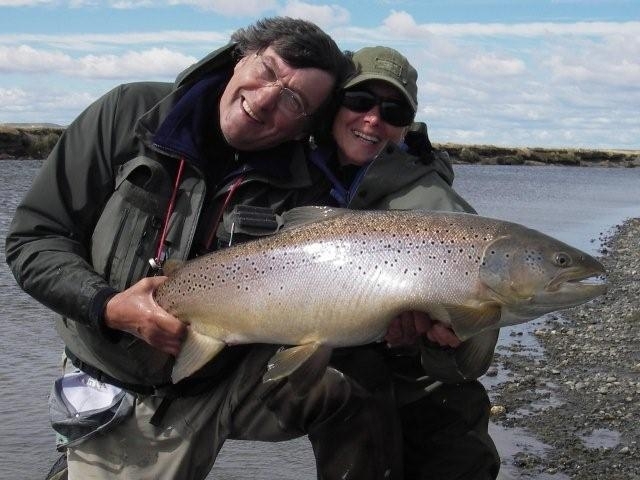 Prices do not include: Fishing license,gratuities for your guide and resort staff, International or Intra Argentina Air fares, or any expenses in Buenos Aires before or after your trip. 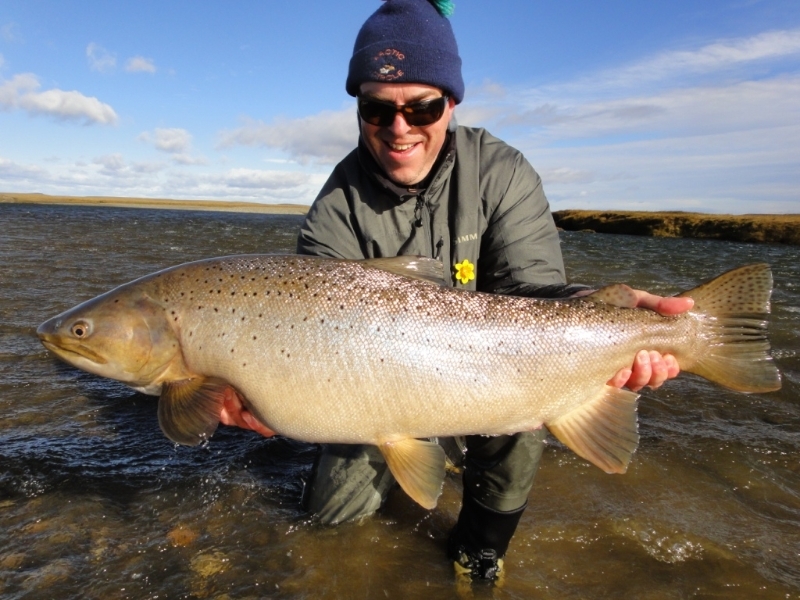 The Patagonian fishing season opens in mid November and ends in mid April, but the best fly fishing for sea run browns in Tierra del Fuego is Mid December through March. In the upper sections of the river there are resident browns throughout the season, the lower strectches hold seas run fish exclusivly. 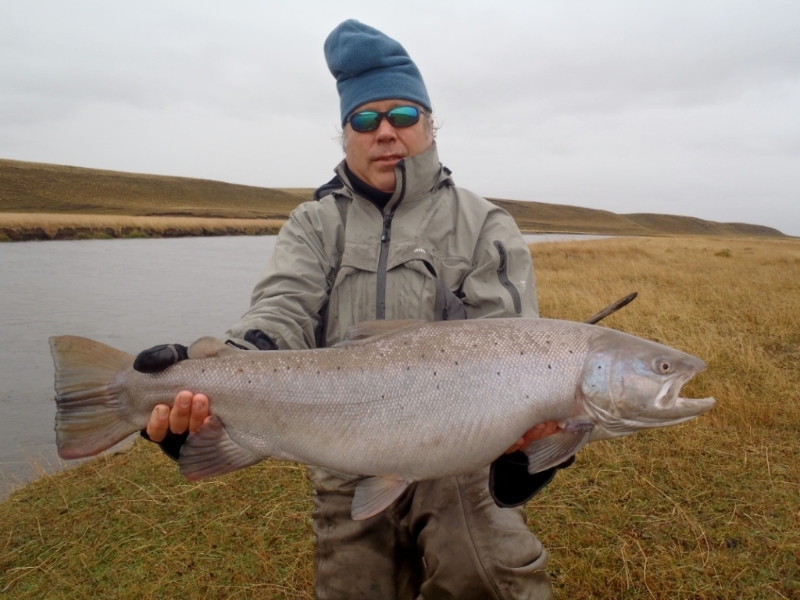 There is a discount for December for those who want to sample the early runs of the big browns that are very aggressive as they enter the river. Not on our list for the non fishing at heart! 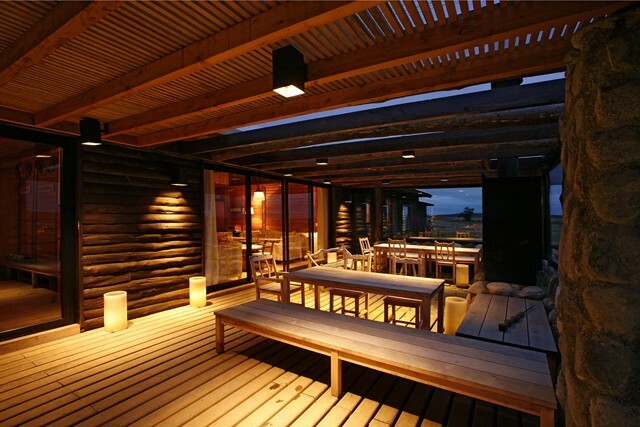 There is spectacular service and standards at Kau Tapen, but very little to do other than fish. 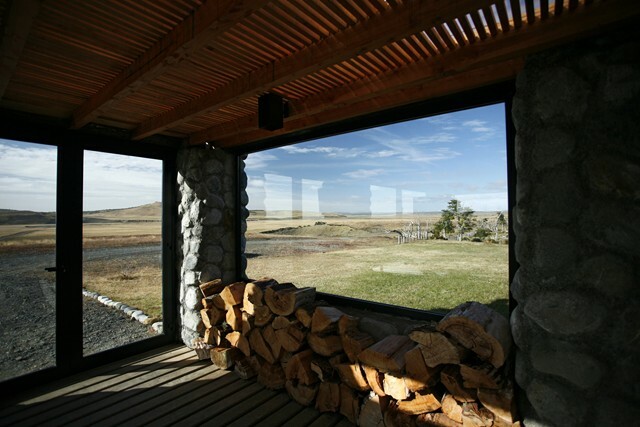 Perhaps you could be a gaucho for a day? 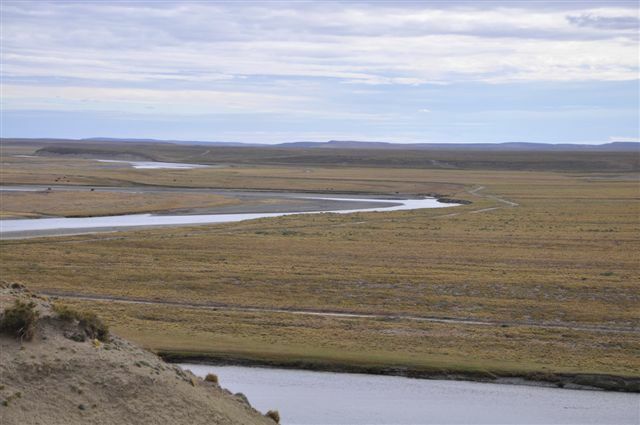 Perhaps some couples could spend some quality time touring Buenos Airea or the wine country and then splitting up while the fisher heads down to the end of the world. 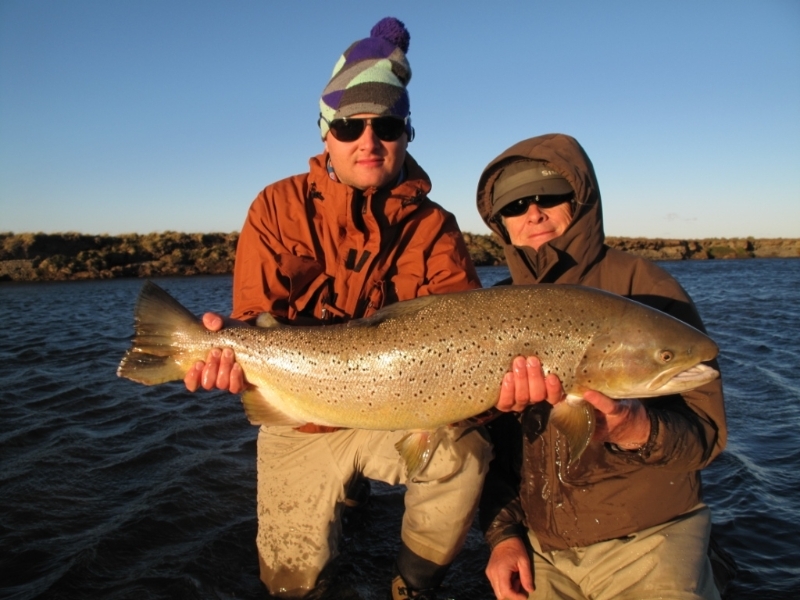 If fly fishing for sea run browns is not your dream, this is not the place for you! 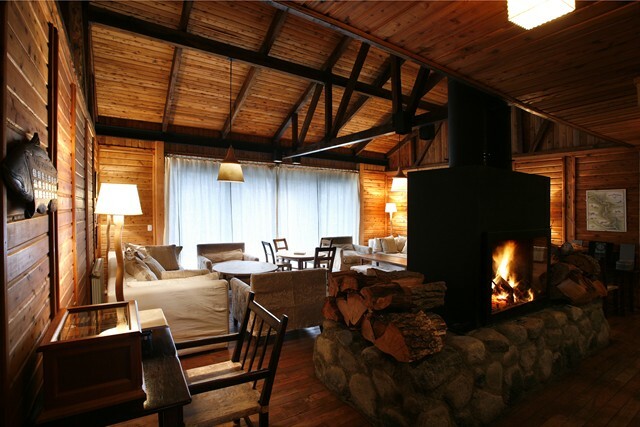 Guests fly into Buenos Aires, Argentina and typically overnight there, having a day to spend touring this wonderful city. 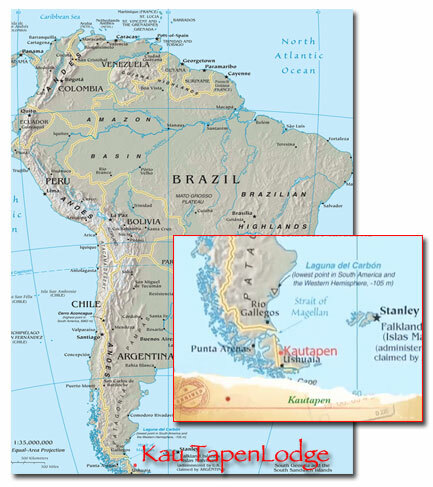 Arrival day at Kau Tapen is set for Saturday, so the following morning guests depart Buenos Aires for the flight south. 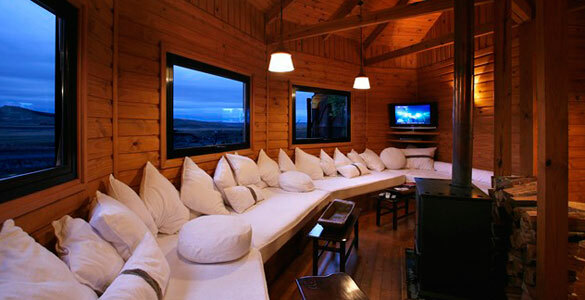 Commercial airlines fly from Buenos Aires to the airport of Rio Grande (3 hour flight), where you will be met by a lodge representative. 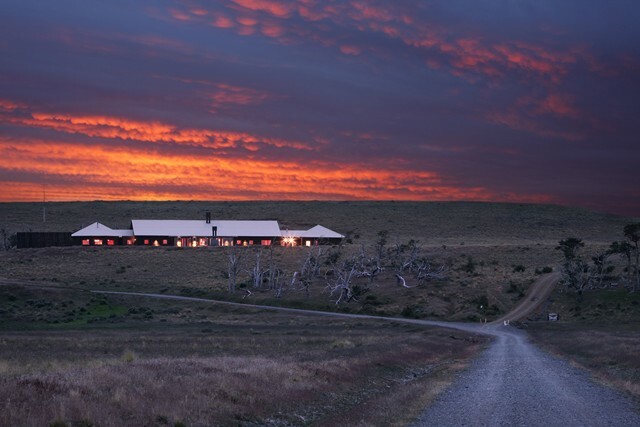 The transfer from Rio Grande airport to the lodge is by four wheel drive and takes 1 ½ hours. 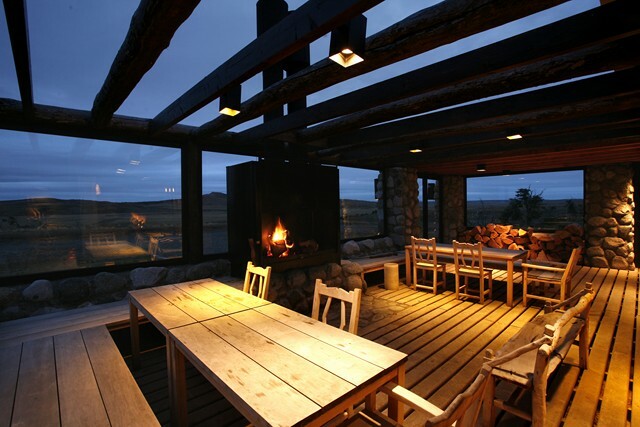 On arrival at the lodge, guests are welcomed with cocktails by the entire Kau Tapen staff. A visa is not required for a stay of up to 90 days. Traveler must be in possession of a passport valid for 6 months beyond stay and a round-trip airline ticket. A visa may be required if trip purpose is other than basic business meetings. Original, signed passport valid for 6 months beyond stay, and with at least one blank visa page available for visa stamp(s). 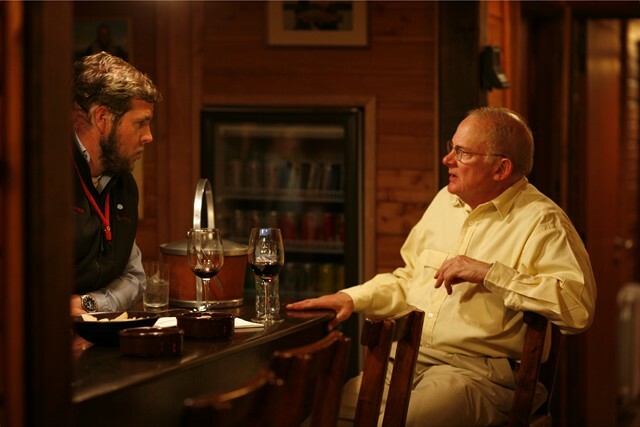 US citizens must pay a “reciprocity fee” to enter Argentina. This is not a visa, since a visa is not required for US business and tourist visitors. 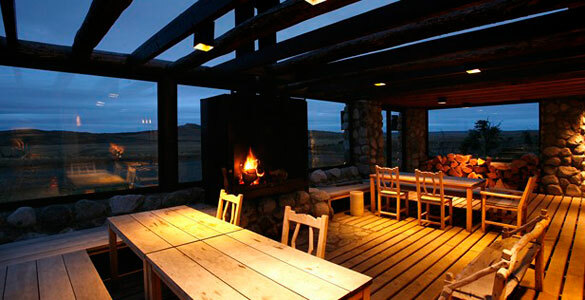 It is a fee based upon the fees that Argentinian citizens pay for a visa to the United States. The fee amount will be subject to change. The National Immigration Agency (Direccion Nacional de Migraciones) has added a new online form of payment of this reciprocity fee (visitor visa- rate for Americans of USD $160), through the Provincia Payment System. Online payment may now be made in advance for arrival at all airports. Enter the web site https://virtual.provinciapagos.com.ar/ArgentineTaxes/ and register to start the process. Complete the form with the corresponding personal and credit card information. On arrival in Argentina, this printed receipt must be presented at Immigration Control. The receipt will be scanned by the Immigration officials, the information will be checked, and the traveler’s entry to the country registered. Effective October 31, 2012 for arrivals to Aeroparque and effective December 28, 2012 for arrivals to Ezeiza International airport, all U.S. tourist or business visitors must pay the reciprocity rates (USD $160 for Americans) with their credit card through the on-line system. After these dates, cash payments will NOT be accepted at the airports.